I’ve been learning so much about writing from the “4th Annual Transformational Author Experience.” It’s still ongoing, and I am trying to catch up because there are several podcasts in one day. The recordings are available only for 24 hours for the free membership plan – it’s like running a race. One big lesson I learned from this event is that listening to podcasts is a great way to learn from writers. I’ve shied away from podcasts out of laziness, but now I am a fan. Mark Matousek has a podcast series which he offers for free, and among the people he interviewed for the series are writers including Julia Cameron and Natalie Goldberg. 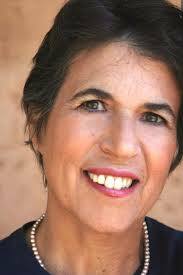 In his interview with Natalie Goldberg, the writer discusses her thoughts about various aspects of writing, memoir writing and teaching. If you want to listen to the 15-minute podcast, click here. Not a bad idea for transferring experience and information. Yes, Leslie, it’s a great way of sharing! Yes, thank you for the share. Natalie’s book, “Writing Down the Bones” was something I was introduced to through my high school theatre teacher, so I’d love to hear about what else she has to say. Yes, Lani, in the podcast Goldberg talks about her latest book and the courses she teach.